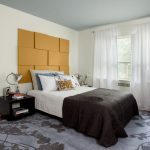 One bedroom part that can add the beauty for your bedroom is the decorative headboards. 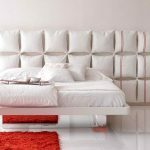 There are many options of stylish and expensive headboards offered by a lot of furniture suppliers. 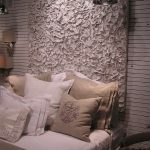 It will be different if you create your own headboard decoration for your bedroom. 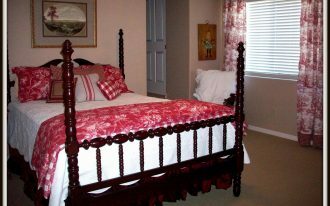 It is up to you what style, colour, and material you are going to use to set up your own decorative headboards. 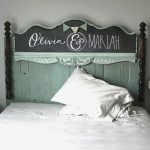 Here we give you a list of cheap and stylish headboard list you may use them as your references or inspirations. 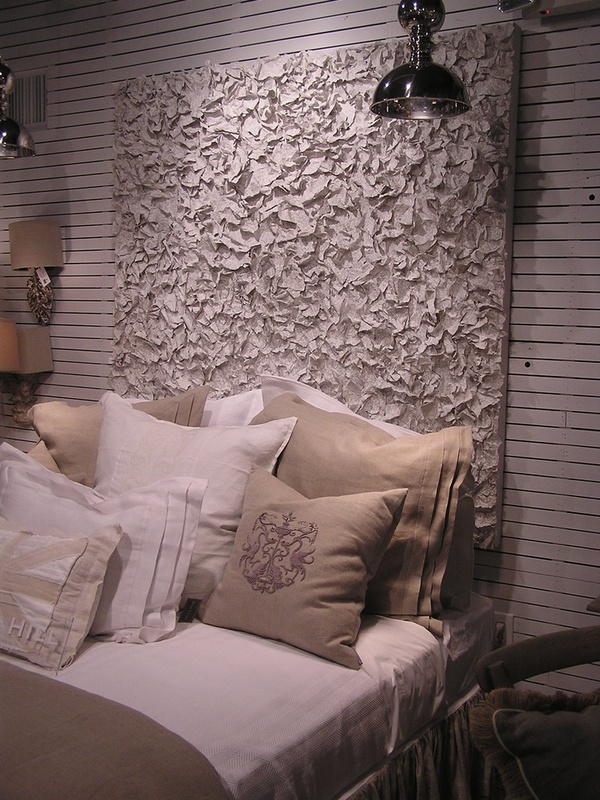 Pillow decorative headboards model looks amazing and interesting. 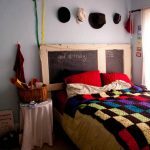 This headboard idea is very unique and easy to make. 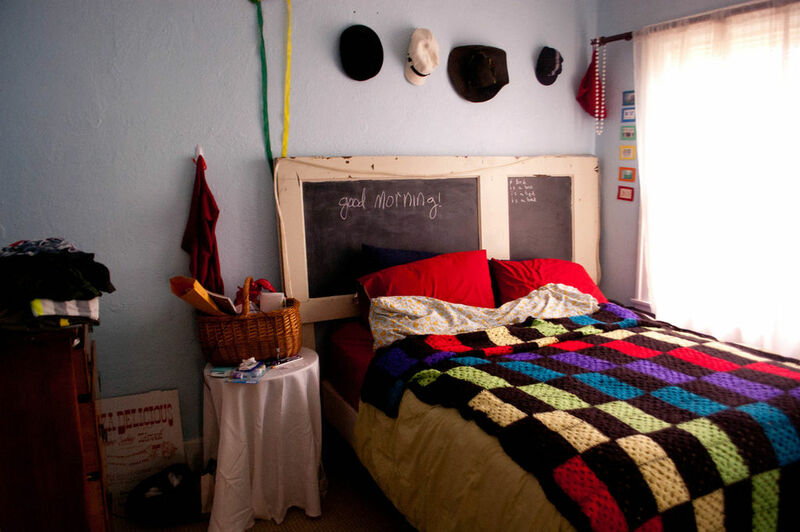 You just need to construct the headboard from your pillows. 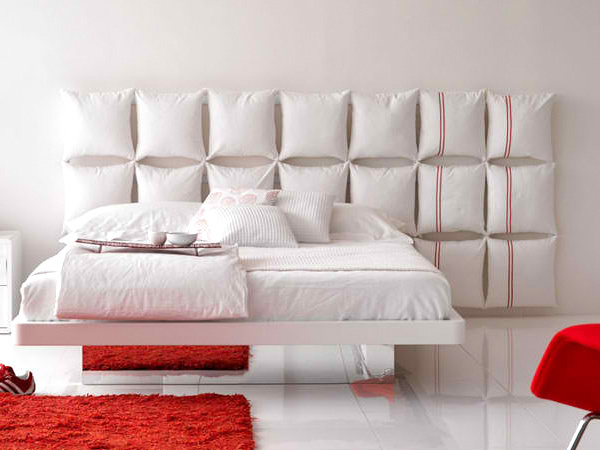 To make it more beautiful, it’s well recommended to apply patterned pillows. 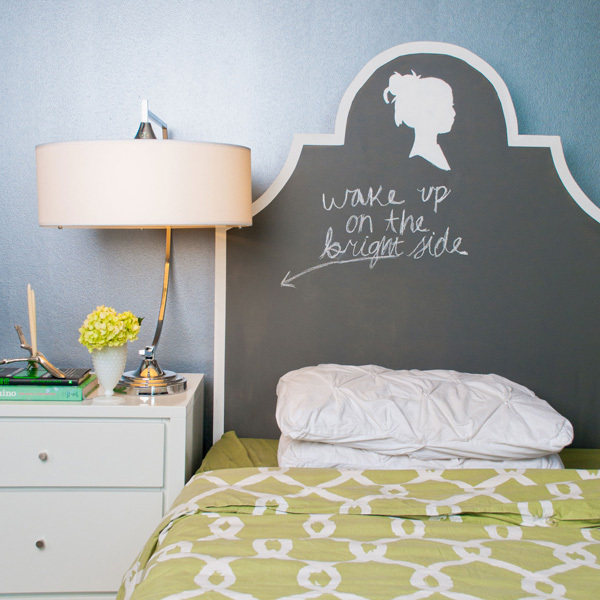 A modern and creative headboard now is yours. 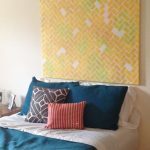 Another idea of stylish but inexpensive headboards is canvas headboard. 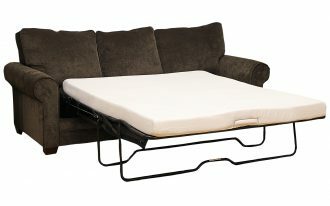 This idea offers more modern look to your bed. 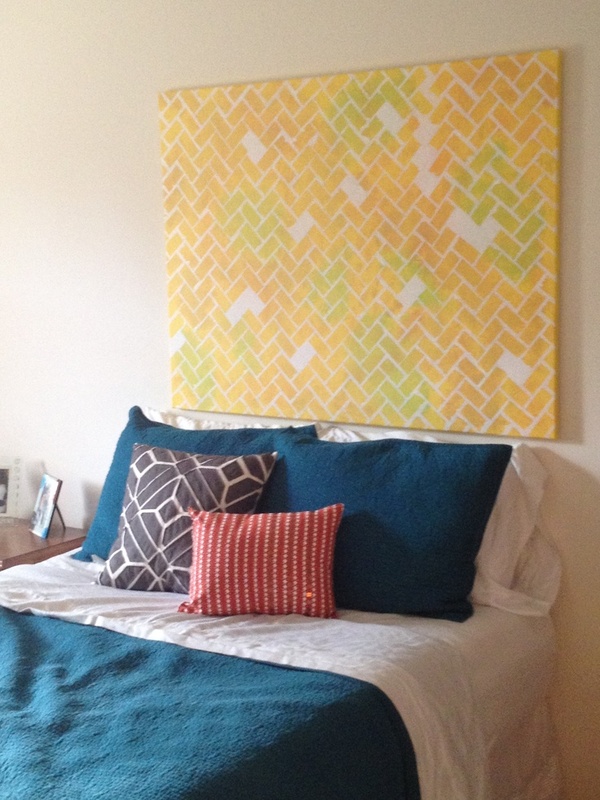 Just mount one or two pieces of canvas behind your bed. 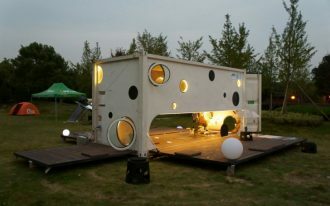 It is so simple and artistic one. You’re free to customize the pattern and colour of canvas materials. 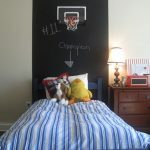 Give them little brushes to add the accent. 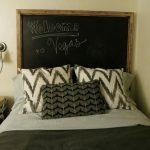 Plywood headboard is another alternative headboard idea you may apply behind your king bed. 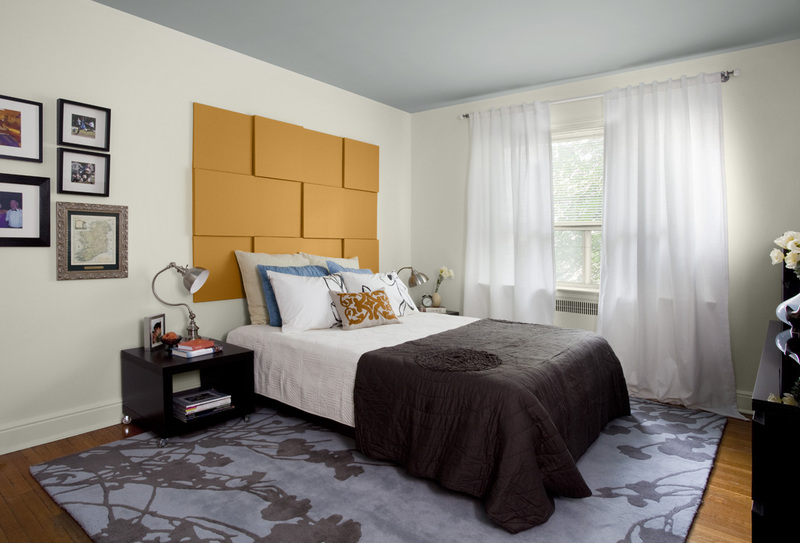 Plywood headboard provides simple as well as modern performance. 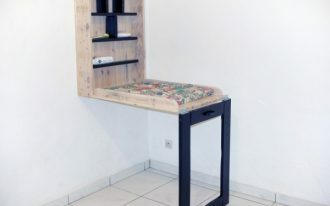 Plywood now is easy to obtain in local home plywood suppliers. 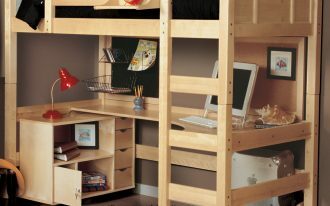 You can choose one of several items of plywood: stain, sealer, large pieces of plywood, and sandpaper. 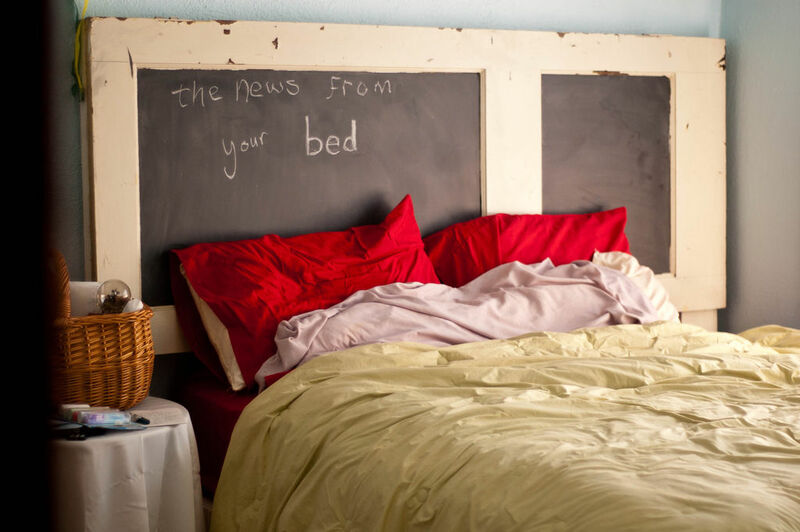 A plywood headboard is able to comfort you and make you feel closer to the nature. 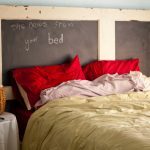 The last and be the most unique headboard idea ever is chalkboard painted headboard. One make this so interesting is that you can fill it with different daily short messages. 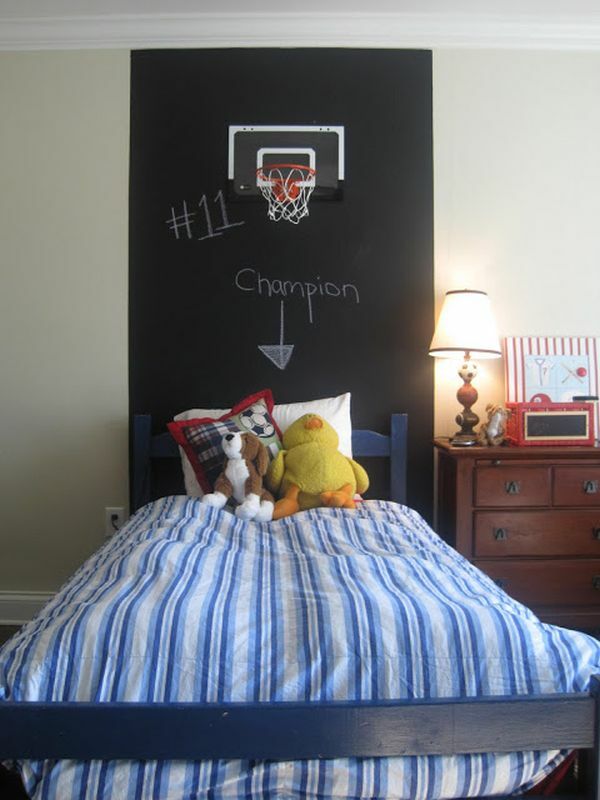 The item you need to buy is a sheet of chalkboard and paint for coloring the chalkboard. 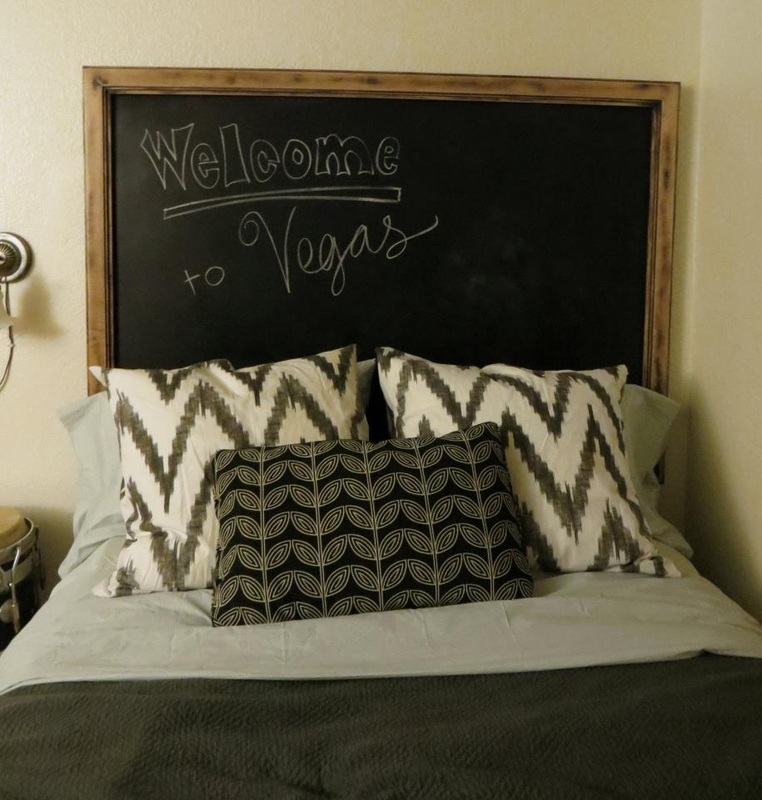 There is a practical way to create a chalkboard effect behind your bed. 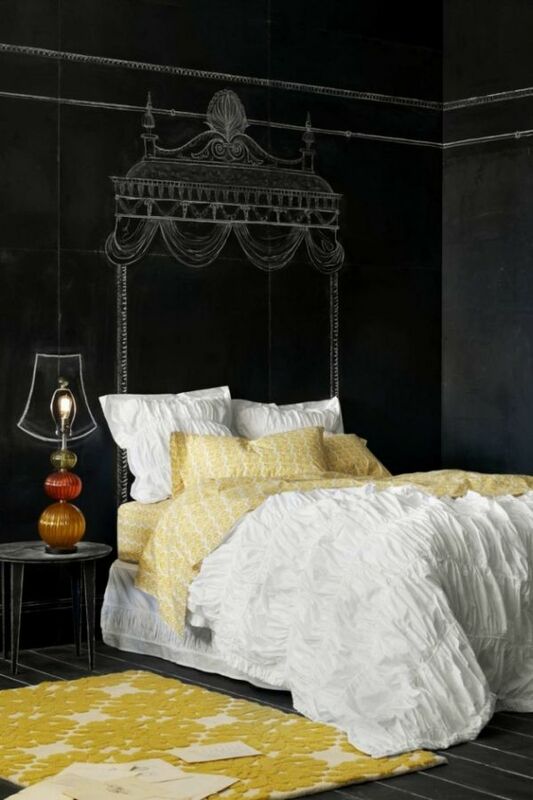 Just re-paint your back-bed wall by using chalkboard paint and give it the border lines. 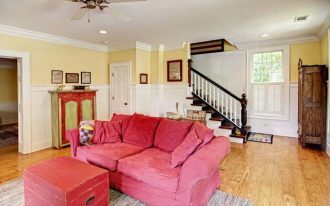 To make it more real, add visual details as the finishing. Among these headboard ideas, which one you want to choose as your decorative headboards?